Annie is an established professional in the North Texas region. She’s an outgoing, Taiwan born, Dallas raised former educator. 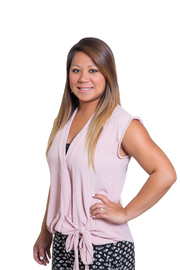 Annie is also bilingual in English and Mandarin Chinese and has been able to use her skills in helping Second Language Learners and their families acclimate and understand the public school system here in Texas. She aims to bring this same set of advocacy to her real estate clients. Annie's goal is to get to know you, your needs and goals, and commit to making your home buying/selling process fun and enjoyable! Contact Annie to experience the professionalism, dedication and enthusiasm you are seeking in your real estate endeavors!